CHICAGO— On Tuesday, prosecutors for Cook County, Illinois, dropped all charges against “Empire” star Jussie Smollett, accused of lying to police about an alleged hate-crime attack. 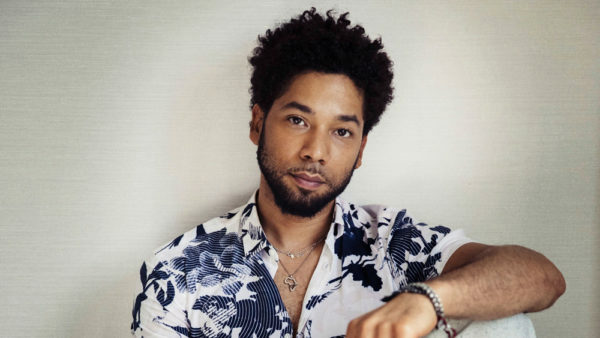 “After reviewing all of the facts and circumstances of the case, including Mr. Smollett’s volunteer service in the community and agreement to forfeit his bond to the City of Chicago, we believe this outcome is a just disposition and appropriate resolution to this case,” according to a statement from the office of the Cook County State’s Attorney Kim Foxx, sent to USA TODAY by her spokeswoman, Tandra Simonton. Simonton said the $10,000 bond money that Smollett is forfeiting will be given to the city. One of the penalties for filing a false police report, if there is a conviction, includes paying for the police costs of investigating a false crime report. Smollett’s legal team also issued a statement, stressing that the charges against him were dropped, and not because of a plea deal. “Today, all criminal charges against Jussie Smollett were dropped and his record has been wiped clean of the filing of this tragic complaint against him,” according to a statement from Smollett’s lawyers Tina Glandian and Patricia Brown Holmes. “… He was a victim who was vilified and made to appear as a perpetrator as a result of false and inappropriate remarks made to the public causing an inappropriate rush to judgement. Nowadays, I am having a hard time arguing against what Vox Day says, that being “your skin is your uniform”. I certainly hope this is not the case and believe in Ghadi-style non-violence, however, you may not be looking for RAHOWA, but, like it or not, RAHOWA is looking for you. Smollett has better not get too comfortable as this case is not even close to over. Not only the Chicago Police Dept are upset and feel disrespected and disgraced, the Uber Liberal SJW and Obama Disciple Rahm Emanuel hs issued a very Angry Statement criticizing the Abandonment of Chatges against Smollett. This Case is no where close to being closed. The much criticized and disgraced are now under new Leadership, they want to re claim their vert tattered reputation .and they will do everything they can to bring Mail Fraud and other Charges against Smollett. I suggest that it would not be advisable for Mr. Smollett to take out a Long Term Lease On His Chicago Loft ! I would also like to think that the Chicago Prosecutor would surely face scrutiny, this whole thing Stinks ! Hey boy, yup you beat the rap. Now your crap acting career is really going to take off. Apparently, Michelle Obama went to bat for him and pulled some strings. There’s no other explanation for this – the dropping of the charges against Jussie Smollett (whose career is going to end up taking a nose dive into oblivion due to his “hate crime” claims being exposed as the hoax it is, even with the charges dropped) were politically and racially motivated.